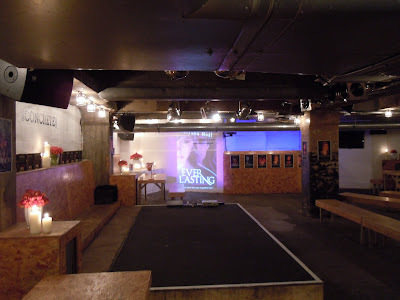 Tales from the Real OC (Really! 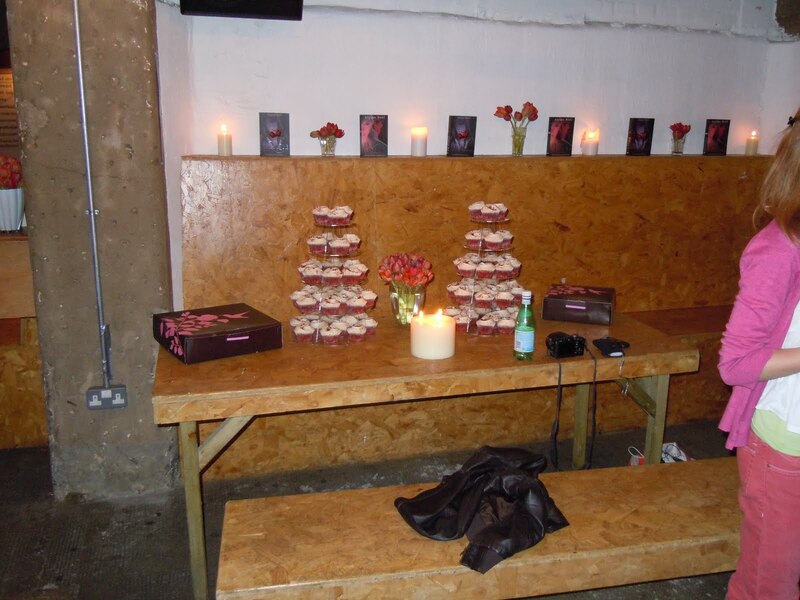 ): More Pics From the UK: The EVERLASTING Launch Party!!! More Pics From the UK: The EVERLASTING Launch Party!!! My first day in London was a whirlwind of FUN that started with a bloggers brunch held at the PanMacmillan offices. 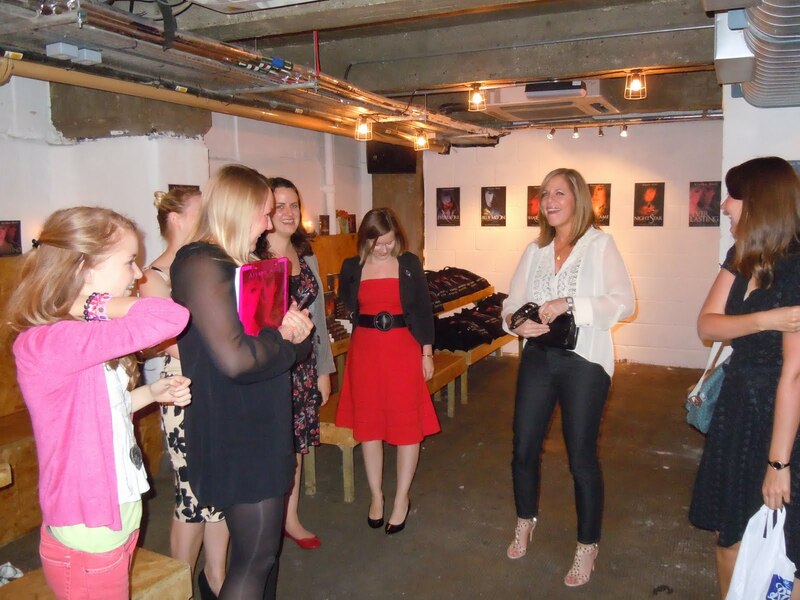 There were sweets, and treats, and I had a great time hanging with some amazing UK bloggers pictured below! After the brunch, we headed off to the lovely (and I do mean lovely!) St. Pancras Hotel for lunch where we dined at the Kitchen Table in the Gilbert Scott restaurant along with my publishing team, my UK agent, and Rachel from Foyles (waving!) And while I failed to take pics of the lunch (I was too busy eating! ), it was food heaven for sure! After the lunch, we ran back to our hotel to do a quick change, then we headed out to Concrete for the AMAZING EVERLASTING LAUNCH PARTY that surpassed all of my expectations and just blew me away! Here are some pre-party pics taken by my husband--though I'm afraid once the party started we were having so much fun we forgot to capture it on film! But no worries, along with nail techs providing Aura Manicures (! ), a tarot card reader (who I hear was eerily accurate! ), red elixir cocktails, assorted munchies, awesome IMMORTALS gift bags, and a tower of red velvet cupcakes that would make Haven proud--there was also a professional photographer on hand, and you can view those pictures HERE! Hanging with some of the awesome My Kinda Book VIPs! 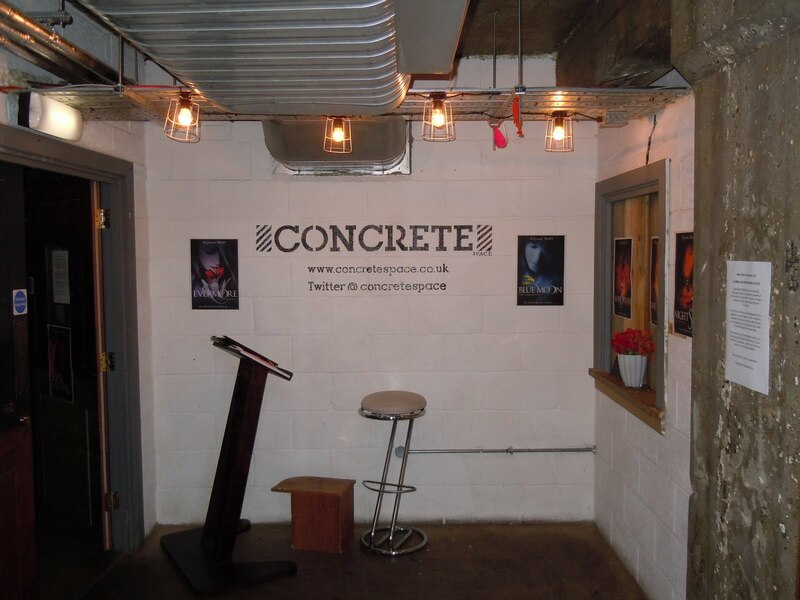 The party was held in a really cool space called Concrete-here's a pic of the entrance! Red tulips + Candles + EVERLASTING on the wall = Awesome! The long view of the space! 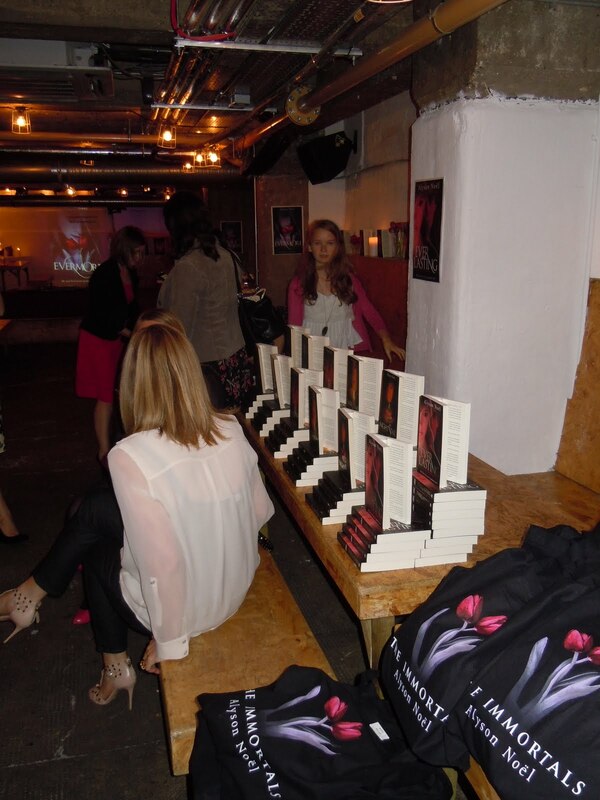 Sitting next to the goody bags, resting my feet before the fun begins! 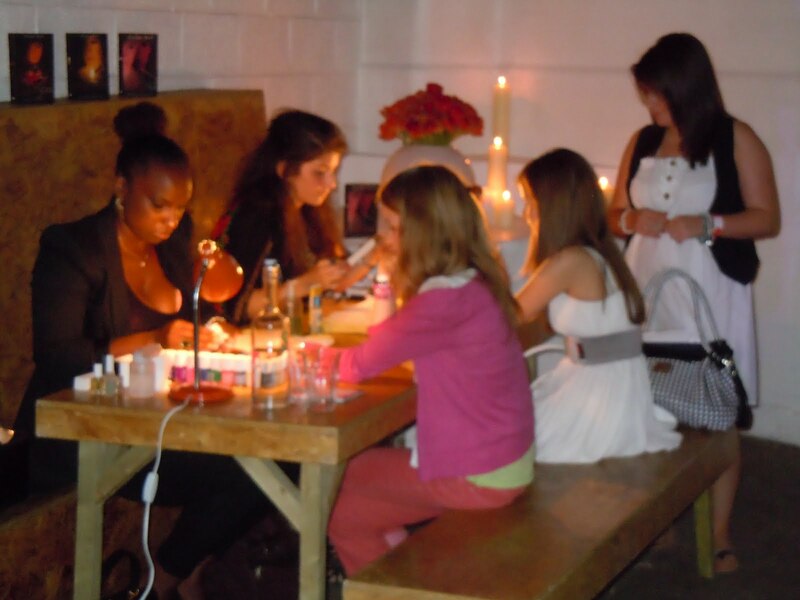 Some My Kinda Book VIPs & the intern getting a jump start on those aura manicures! 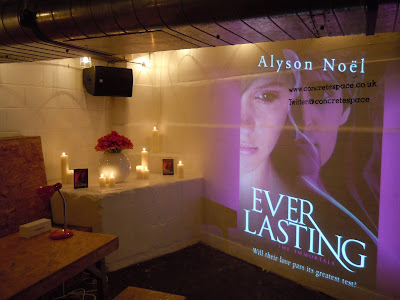 i am your BIGGEST fan Alyson and i love all of your immortal books!